Beck, U. (1997). “La reinvención de la política: hacia una teoría de la modernización reflexiva”. Modernización reflexiva. Trad. Jesús Albores. Madrid: Alianza. 13-73. Cohen, J. (1993). “Moral pluralism and political consensus”, The Idea of Democracy. Eds. David Copp, Jean Hampton y John Roemer. New York: Cambridge Univ. Press. 270-291. Connolly, William E. (2005), Pluralism, Duke University Press, Durham. Danto, Arthur C. (1963), “What can we do”, The Journal of Philosophy, Vol. 60, Nº 15, pp. 435-445. — (1964), “The Artworld”, The Journal of Philosophy, Vol. 61, Nº 19, pp. 571-584. — (1974), “The transfiguration of the commonplace”, The Journal of Aesthetics and Art Criticism, Vol. 33, Nº 2, pp. 139-148. — (1981), The transfiguration of the commonplace, Harvard, Cambridge. — (1998), “The end of art: a philosophical defense”, History and Theory, Vol. 37, Diciembre 1998, pp. 127-143. — (2003), The abuse of beauty, Open Court, Chicago. — (2003b), Más allá de la caja brillo, Akal, Madrid. — (2004), The philosophical disenfranchisement of art, Columbia, New York. — (2005), “La crítica de arte moderna y posmoderna”, Revista Artes, Universidad de Antioquia, Nº 9, pp. 29-41. — (2006), Después del fin del arte, Paidós, Buenos Aires. — (2007), Narration and knowledge, Columbia, New York. — (2007b), “Embodied Meanings, Isotypes and Aesthetical Ideas”, Journal of Aesthetics and Art Criticism, Vol. 65, Nº 1, pp. 121-129. — (2013), Qué es el arte, Paidós, Buenos Aires. Galston, William (2005), The Practice of Liberal Pluralism, Cambridge University Press, Cambridge. 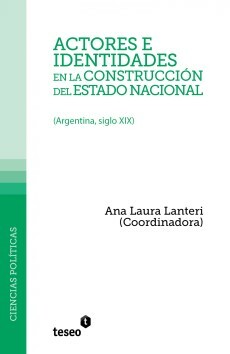 Garreta Leclerq, Mariano (2007), Legitimidad política y neutralidad estatal, Eudeba, Buenos Aires. Kennick, William E. (1958), “Does traditional aesthetics rest on a mistake?”, Mind, Vol. 67, Nº 267, pp. 317-334. Kundera, M. (2005). The Art of the Novel. Faber & Faber, London. Lukes, Steven (1974), Power: A radical view, Macmillan, London. — (ed.) (1988), Power, New York University Press, New York. Mouffe, Chantal (2007), En torno a lo político, Fondo de Cultura Económica, Buenos Aires. Rawls, John (1996), Political Liberalism, Columbia University Press, New York. Pérez, M. (2010), “Pluralismo posthistórico en Arthur C. Danto: Del arte a la política”. 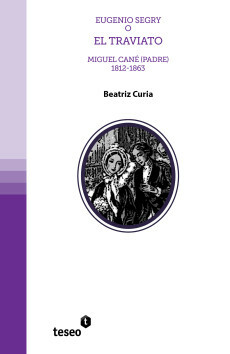 Revista Diálogos, XV (27), 18-23. — (2017), “Tres enfoques del pluralismo para la política del siglo XXI”. 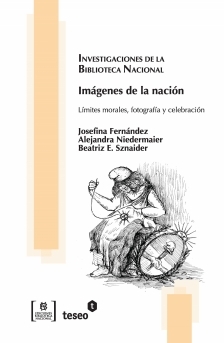 Ideas y Valores, 66 (163), 177-202. White, Hayden (1973), Metahistory: The Historical Imagination in Nineteenth-Century Europe, John Hopkins University Press, Baltimore. — (1982), Tropics of discourse. Essays in Cultural Criticism, Baltimore, John Hopkins University Press. — (1986), “Historical Pluralism”, en Critical Inquiry, Vol. 12, Nº 3, pp. 480-493. Young, Iris Marion (1989), “Polity and Group Difference: A Critique of the Ideal of Universal Citizenship”, Ethics, Vol. 99, No. 2, pp. 250-274.